Three young men who were separated at birth found each other anyway, discovering they were triplets. However, the true story of why they were separated reveals a chilling scientific experiment. A psychologist who wanted to test the influences of nature vs. nurture decided to split the three men up and used the Louise Wise adoption agency in New York to serve his purposes. Neubauer separated dozens of newborn twins and triplets into similar Jewish households and then visited them all with his team in order to study the impact their upbringing would have on them. Viola Bernard, the now-defunct adoption agency’s chief psychiatric consultant, admitted that she had advised birth mothers not to place twins or triplets together. “In those days we were playing God, but we had to do the best we could,” she said, reported the Daily Mail. The adoptive parents of each child were unaware that the babies were part of separated twins or triplets, they only knew that they were part of a child development study. The men were able to find each other when Robert Sharfran met his roommate for the first time at college. Michael Domitz noticed that his previous roommate, Eddy Galland, walked, talked, looked, and acted just like his new roommate. “He had the same grin, the same hair, the same expressions — it was his double,” he told Metro. After meeting, Sharfran and Galland realized they were long lost brothers. A local paper heard about the story and wrote it up. That’s where things got even crazier—a man reading the paper noticed the two men looked just like him. David Kellman, who was living in Queens, came forward and met Sharfran and Galland. Thus, the realization that they were triplets. “Once we got together, there was a joy that I had never experienced in my life and it lasted a really long time,” Sharfran said. 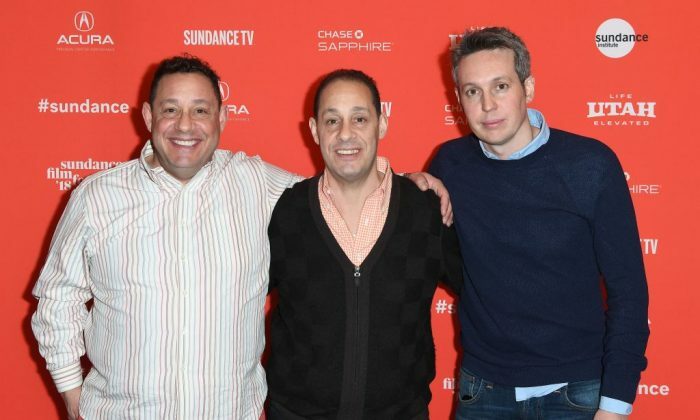 Their story is recounted in a new documentary, “Three Identical Strangers,” which was previewed at the Sundance Film Festival. The triplets enjoyed each other’s company but Galland ended up committing suicide at the age of 33. No one was charged with any crime in the experiment of separating siblings at birth because it isn’t technically against the law, but the boys’ adoptive parents noted that they all seemed to suffer from separation anxiety from a very young age. “David began talking very early. I remember him waking up and saying: ‘I have a brother,’” Kellman’s adopted mother Claire Kellman said, reported the Daily Mail. The results of Dr. Neubauer’s study were never published, due to fear of negative public opinion. The records are sealed in the Yale University Library until 2066.